Nancy, Chuck and their teenage twin boys move to Hawaii filled with the hope of starting over. With her marriage on the rocks and the boys growing up, Nancy does not know what kind of life she wants anymore. Chuck’s job transfers smoothly to the Costco in Kona and the boys seamlessly become star players on their high school water polo team. But what about Nancy? With middle age settling in and her body expanding out Nancy decides to try a yoga class. The class and teacher Ana become Nancy’s new mantra. Eat healthy, focus on the moment and thoughtful words of wisdom that become life changing. Her friendship with Nancy is on a fast track. She immediately begins spending all of her time with Ana who is in remission from breast cancer and sees the world through the bright eyes of karmic resolution. She constantly cajoles Nancy into helping her do what she feels are good deeds to keep the bad vibes at bay. Their sister friendship is instantly overwhelmed with need and emotion which Chuck tolerates as he still carries memories of his own guilty affair from San Diego. As Nancy digs deeper into her own psyche, things with Ana become more bizarre and demanding. Nancy becomes leery of the destructive path this has taken and her boys begin to get into trouble as they sense the unrest in their parents marriage. I wouldn’t call this a thriller but definitely a psychological twisted drama. As I loved author Swan Huntley’s first novel We Could Be Beautiful, I am amazed at how completely different but equally well written this new novel is. 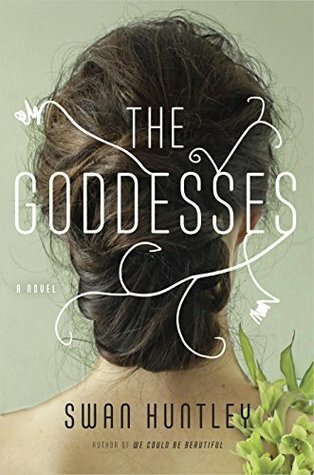 Love the characters, love the Hawaii setting, highly recommend The Goddesses. Definitely a thumbs up #SummerRead!